Natalia was a pro swimmer and has been teaching swimming to children and adults of all ages for 14 years and has coached for FastFins® since 2010. 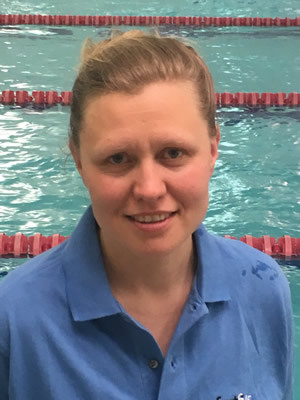 Natalia's teaching repertoire has involved providing introductory swim classes, improvement plans for performing swimmers and structured swimming courses for pre-school children. She derives great satisfaction from seeing children and adults develop their swimming capabilities and achieving measurable results. Natalia's ethos is that properly structured lessons provide a solid foundation to enable swimmers to develop their skills and fulfill their aspirations and ambitions, whilst enjoying the experience.